Want to know the top secret prize??? A $25 gift certificate to Fat Quarter Shop! a free pattern from Swirly Girls Designs! and I think I’ll throw in an Aurifil thread sampler for you too! A lot of you guys are already linked up and have some beautiful quilts to show for it, so way to go! Click HERE to link up your quilt and to get all the need to know info! 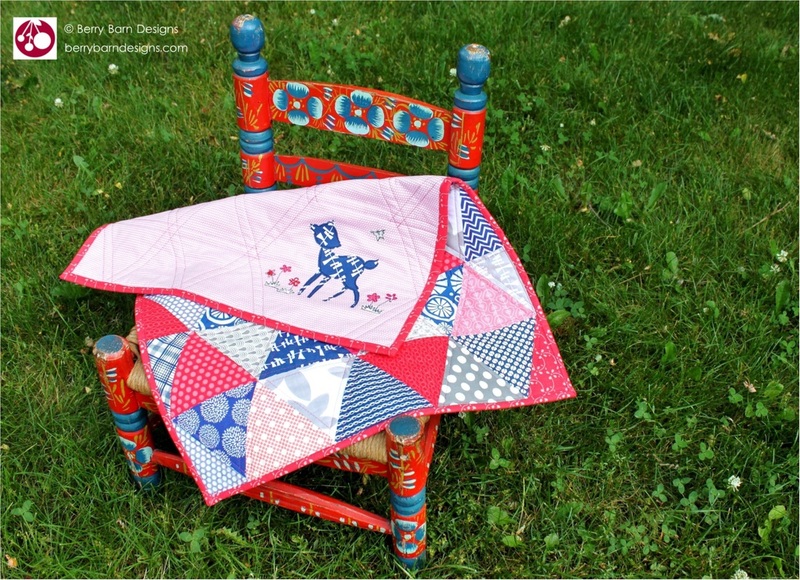 Triangle QAL- Last Chance Link Up! Okay guys! I have a little something special for those who participated in the Triangle QAL, but were late to the party and missed the deadline:) It was my first quilt along and I know I didn’t give everyone(including myself!) a whole lot of time to get the entire quilt done, but no worries! I am doing a Last Chance Link Up! Starting today there will be a link up open on this blog post for everyone that didn’t make the earlier deadline to come and share their finished quilt. Entering the Last Chance Link Up will give you a chance at another prize win!!! The Link Up will remain open until July 31st and the Last Chance winner will be announced August 1st. The winner will be drawn randomly so no pressure to be perfect, just get it done and have fun. That means you have two more months to get those quilts finished and bound. I hope this is just the extra little inspiration and push you need to not give up and get those sassy triangles done:) What is the prize…..well, that’s a secret! I might share when we get closer so keep plugging away just in case its a brand new car or something….probably definitely not;) But it will be something really cool, I swear! Your quilt must be a finished quilt. You must link up your finished quilt to where ever you like to share your quilts. A pic in the Flickr group, Facebook, Instagram, a blog post or you can email me and I will help you out. Click on the blue button below that says “Add your link” and enter the web address where the photo of your quilt is being shared into the first box. Then add your name and email info in the corresponding boxes. You must link up your finished quilt by July 31st at midnight/EST. Please contact me if you have any questions at all! No bother I promise:) and I would love if you left me a comment letting me know how you are doing with finishing up your quilt. So what if you didn’t finish??? Alright already….get to the Grand Prize Winners! The winner of the $75 gift certificate to Fat Quarter Shop is…. Now, here are all the rest of all the beautiful triangle quilts! Click on each one to see a close up. Seriously! My mind was blown by all of you guys creativity with fabric selection, layouts and quilting designs!!! I ran out of words to express how cool I thought each one was. I hope everyone enjoyed this journey and learned a little about triangles without wanting to throw your triangle ruler in the trash:) I honestly thought everyone did a great job and am glad I randomly drew for the winners….no way I could have picked one! I have an update that will make you breathe a little easier…..you have some extra time to get these puppies finished! Yay, right! My original list of dates finished us up on April 25th….I forgot to take into account that I usually give you the whole week to get your pics linked up. No way we can do that in one day and me get the Triangle Extravaganza together! So here is how it will go… I will announce the final link up on Friday, April 25th and you will have until Saturday, May 3rd at midnight/EST to get your finished quilt linked up. Monday, May 5th I will announce the winners and show off these gorgeous triangle masterpieces! May 3rd- Final link-up closes. May 5th- Triangle Extravaganza! and prize winners announced. That is a few extra days….I know some wished there was an extra week or two! This is my first QAL so I will do better next time, I promise:) If I change it now I might have some angry quilters on my hands, lol. If you do not finish by the deadline on May 3rd and you get it done the next day…you will miss out on the prizes, but email me a pic and I will get you in the Extravaganza parade of quilts! If you know you don’t make the deadline, no worries! Keep on quilting and I am planning a special something for those who just need more time. More on that after the Extravaganza so keep on pushing and see if you can’t get your quilt finished! Congratulations to Kris@SewSunshine!, last weeks winner! I will contact you so you can get your gift certificate to Pink Chalk Fabrics and your free pattern from Swirly Girls Designs. I have a guest post today for you from Felicity Quilts to help you figure out how to quilt up your beautiful triangles. Hi there! I’m Felicity and I blog (sporadically) over at Felicity Quilts. I was delighted that Paula asked me to contribute a tutorial to the awesome Triangle Quilt Along that she’s hosting! 1. I went to the image that Paula has in the kick-off post for the Quilt Along. I right-clicked on the image, selected Copy Image from the menu, then pasted it into a word processing document. I then printed the document 4 times. 3. I chose the design that spoke to me. When I saw it the spiral on my colouring sheet, I just knew it was right choice. As you can see from my finished quilt, I actually did concentric circles, mainly because I didn’t trust myself to be able to execute the beginning of the spiral well enough. Print as many copies of the sheet as you want – you could even use regular graphite pencil and erase if you wanted to reuse the same sheet. But just give yourself permission to play. You’ll see very quickly what design work for you. Congratulations to Terri van Gulik! She won last weeks sponsor prize from Pink Chalk Fabrics and Swirly Girls Design! A $25.00 gift certificate to Pink Chalk Fabrics! and a pattern from Swirly Girls Design! On the back of your piecing where you can see the stitches, you want to look for where the threads cross and form an “X”. You will insert a pin from the wrong side of the fabric so that it comes out right at the tip of the triangle on the other side. Now take the row you are matching it up to and insert the pin at the tip of that triangle. Straighten up your pin and smush the two together. If you pressed each row in alternated directions your seams should be going in opposite directions and nest together. Hold the two pieces together so they don’t shift and secure the tip of the pin to keep that in place. Work your way down each row pinning all the points and then adding one in between. Sew a 1/4″ seam to join the two rows. When you approach the “X”, sew just to the right of the point where they cross. The “X” is your tip and as long as you are to the right of that you will never chop it off. I could have been just a smidge closer, but this is okay. Our left and right edges have some zig zag action going on and you can leave that if you feel up to the challenge of binding it. Not so bad actually, just use bias binding to give yourself some room to stretch. If you are not feeling ziggy or zaggy….let’s just square up this angular action. Line up your 1/4″ marking on your ruler just to the right of the points near the end of each row. Trim and continue moving your ruler along the edge of the quilt, making sure to leave a 1/4″ seam. So keep on stitching and come back and link up your finished top by Thursday, April 17th at midnight/EST. If you are behind or have missed a link up don’t let that stop you from linking up. Each link is individual so it doesn’t matter if you didn’t make it to the earlier ones or even if you only do the final one! Remember: These are finished tops only …nothing is quilted yet! Our next link up will be in 2 weeks so you have plenty of time to get these quilted up. Just a quick hello and how ya doing! Hope everyone is coming along with getting their triangle rows pieced together. Be sure to link up by tonight at midnight/EST! 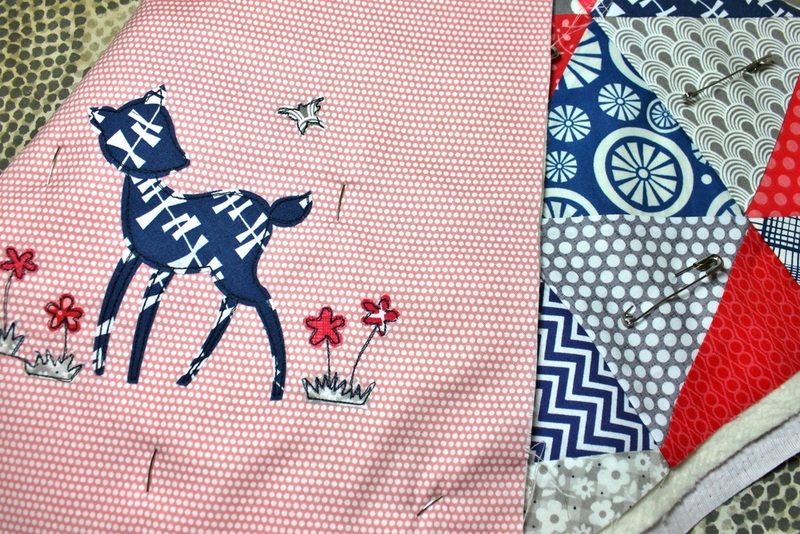 Tomorrow’s post will be on how to finally get those rows joined together and trimming those edges….can’t wait!